Does a Paper-Free Office Truly Exist? 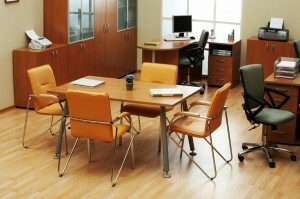 Many people who work in office settings wish that they didn’t have so much paperwork to contend with on a daily basis. It is true that excessive paperwork can literally clutter an office setting. Paper-free offices can exist and do exist. With all of the technological inventions out there today that are designed to minimize paperwork, having a paper-free office has never been quite as simple as it is today. Some offices have focused their attention on the tablet computer as a way to eliminate the need for paper. Tablet computers enable office workers to be able to quickly view PDF documents or other office documents from wherever they are at. If an office employee happens to be traveling due to company business, he or she can simply access the documents that are needed to be viewed on a tablet computer. Laptops, of course, work the same basic way, but it is often more convenient to carry a tablet computer around to access company documents rather than to carry a much less compact laptop around. Faxes can now be sent via email and other electronic formats. There is actually no need to have a fax document appear on an actual sheet of paper anymore. Faxes that are received can even be saved to computers so that the information contained in the faxes is not lost. Employees can construct and send faxes via their own computers, so there is no need to compose a fax on a regular sheet of paper any longer. Some college offices will probably even resort to a paper-free office setting in the near future. Many colleges have had a tendency to spend a lot of money on paper. There are quite a number of colleges especially in Texas that may be interested in having paper-free office environments due to the increasing cost of buying printer, copier and fax machine paper. One such Texas college, SFASU is said to seriously be considering this. By making the switch to a paperless office, colleges may be able to actually lower tuition costs, thus allowing more people the opportunity to be able to earn college degrees. Any office can benefit greatly by going paperless. Offices that decide to eliminate paper will save a lot of money, now and in the future. I am all for the paperless office for many reasons. It is much more orderly and it is environmentally friendly for starters. With paper documents, there is all the filing which is time-consuming, as well as the need to shred sensitive documents for security purposes. A lot of our energy goes into managing paper. Keeping backups of the computer and other electronic documents is essential, of course, and I see it as a very small tradeoff for saving all of the space it takes to file papers, as well as the cost of the paper itself. I’m also glad to see the fax machine becoming obsolete in favor of direct sending of electronic documents to computers. All that paper seemed quite superfluous to me — and it was often jamming in the machine — and faxing is really such an old technology. So yes, paperless is a great trend!